What the bike industry has really gotten good at is delivering a lot of bike for the money. In any price range, bikes perform better than ever. I can cite the supply chain, global logistics, understanding their market, but it’s mostly product designers that know what they’re doing. The Marin Cortina AX proves that. A $2000 the Cortina AX2 is a bike designed for gravel/cx and an adventurous day. Marin doesn’t oversell it, even saying themselves, it’s for an aspiring rider who could spend another $2K and get lighter wheels and a more exotic frame material. In our weekend with the Cortinas (I rode the AX1 and Pam the AX2 with a slightly downgraded spec), they performed as you should expect a budget bike to do. If you haven’t ridden a new bike in this price segment in a while, it’ll likely surprise you if not for the value, but how well it handles. 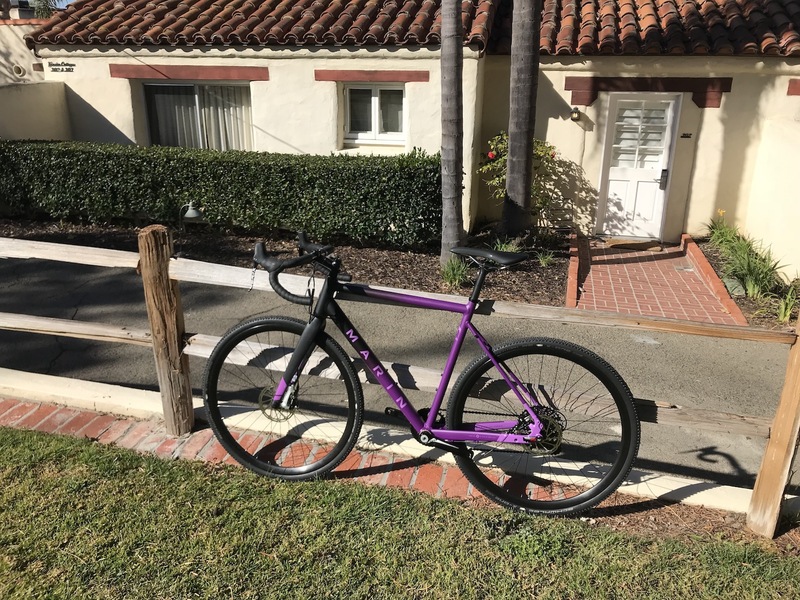 The frame is made with Series 4 CX 6061 aluminum alloy frame and Naild NavIt carbon fork with tapered alloy steerer features a fully butted tubeset with a tapered headtube, chainstay disc brake mount, and Naild 12.3.9 locking quick release thru-axles front and rear. It has room for 700x45s and a geometry for off-road speed and stability when it gets loose on the path with a SRAM Apex hydro 1x group. You could race your category on Saturday and then a long gravel ride on Sunday. Where you’ll notice the budget price is on the climb, the Cortinas weight more than 20 lbs. Get a set a race wheels for it and knock off a few pounds while keeping the budget under $3K. Find the Cortina at a Marin dealer near you. 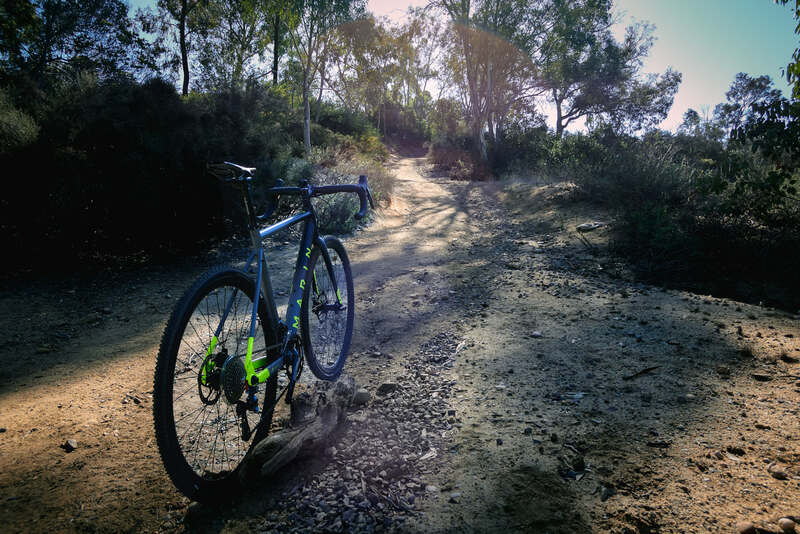 We rode the AX1 and AX2 around North County and I’d also recommend that location too. I’ve ridden in many beautiful places. North County is a new fav.